IT Tech Solutions is focused on supporting the IT needs of small to medium-sized business (SMB’s). We are committed to providing business owners with a level of personalized, professional service and infrastructure support that was previously only available to large companies. IT Tech Solutions’ managed services provides the advantages of an in-house 24 hour dedicated IT support team without the associated hassles and overhead costs. Our portfolio of IT solutions is tailored to the small to medium business market and provides state-of-the art technology, increased reliability and lowered cost-of-ownership. With offices conveniently located in the energy corridor in the Park Ten area of I-10 west, IT Tech Solutions is ready to support your IT needs. For a flat monthly fee, IT TECH SOLUTIONS will monitor the health and status of a client’s desktops and servers using our remote sensing technology. We will look for problems as they occur and intervene by performing preventative solutions before the issues can affect your company’s operations. Think of it as the equivalent of having a built-in mechanic to resolve the “Engine Warning Light” in your car before the light even has the chance to come on. By being proactive, we are able to minimize the impact any potential problems may have on your organization. Performance, Availability & Predictive Failure Monitoring – IT TECH SOLUTIONS will track the availability and performance of critical networking components, including designated servers, and managed networking gear (e.g. routers, firewalls, managed switches, etc.). The monitoring system will provide the IT TECH SOLUTIONS Help Desk with real time data and will also allow for the periodic production of reports which will be made available to the Client. Patch Monitoring & Management – IT TECH SOLUTIONS will monitor the operating system patch levels of known systems that run approved operating systems and are connected to the network. This system also allows IT TECH SOLUTIONS to deploy patches utilizing strategic timing based on best practices. IT TECH SOLUTIONS is also able to monitor and manage patch levels of Microsoft Office applications, and certain critical Microsoft back office server based applications such as Exchange and SQL Server. Virus Definition Monitoring & Management – IT TECH SOLUTIONS monitors antivirus definition levels of all known systems. Our system is compatible with most major antivirus software vendors (i.e. Symantec/Norton, McAfee, and Trend Micro). IT TECH SOLUTIONS technicians visit your facilities and perform necessary repairs, upgrades and ongoing maintenance. For clients under a managed IT services plan, these visits covered within the scope of the plan are handled on a no-charge basis. For clients not under a managed IT Service plan, visits are handled on an hourly time & materials basis. The network is the backbone of any company’s computer system and IT TECH SOLUTIONS can help the business owner develop a system that is reliable, secure and cost-effective. Threats to a company’s computer systems in the form of viruses, phishing and hacking attempts change daily and it is impossible for the business owner to keep up to date on the latest technology changes required to thwart attackers. IT TECH SOLUTIONS can help with technological solutions that will provide maximum security and reliability while being cost effective. IT TECH SOLUTIONS can assist the business owner in troubleshooting networks that are slow, allowing data to be transmitted quickly and with minimal issues. Less time waiting for data or downloads results in higher productivity for your employees and more efficiency for your organization. Data is the lifeblood of a business and once lost or corrupted, can severely impact a business’ operations resulting in downtime, lost revenue and dissatisfied clients. All critical systems and data should have a method in-place for allowing quick recovery and restoration of deleted or damaged files including all operating systems. Having an efficient and reliable backup system in-place can mean the difference between a few hours of lost service or days struggling to reconstruct corrupted systems and data. IT TECH SOLUTIONS offers affordable, practical backup solutions that will protect the business owner’s investment and provide peace of mind. Our solutions are layered and scalable, from basic on-site backups, to offsite recovery solutions. Additionally, IT TECH SOLUTIONS can provide options for the business owner to continue operating his business from a remote location should his offices be closed due to loss of power, fire or natural disasters such as hurricanes. New Installations and Upgrades: IT TECH SOLUTIONS can assist the client in the selection of new equipment and software, their installation setup and test. We can reduce the frustrations and headaches of a new system by eliminating the guesswork. Risk Assessments and Compliance: IT TECH SOLUTIONS can perform risk assessments and compliance with local, state and federal regulations. These requirements may include certifications such as HIPAA or Texas State Banking Regulations. Office Relocations: IT TECH SOLUTIONS can relieve the burden of an office move by managing the IT side of your relocation. IT TECH SOLUTIONS will perform the IT system’s disassembly, re-installation and setup dramatically reducing your office staff’s downtime. Budgeting and Planning Consulting: IT TECH SOLUTIONS can provide you with technical expertise in the development of future system designs and the procurement of new equipment and software. Data Storage: IT TECH SOLUTIONS has a portfolio of storage solutions for maintaining data safe and reliable. These systems can store large volumes of data such as customer files and records to allow compliance with customers’ archival storage and audit requirements. IT Tech Solutions is committed to providing our customers with reliable and secure IT support services at an affordable price. We listen to our customers, identify their needs and provide the most cost-effective, technologically-advanced solutions available. By emphasizing on continual improvement of our services, IT Tech Solutions seeks to provide our customers with the best experience possible and to meet or exceed our customers’ expectations. IT TECH SOLUTIONS focuses on the small to medium-sized business (SMB) market. 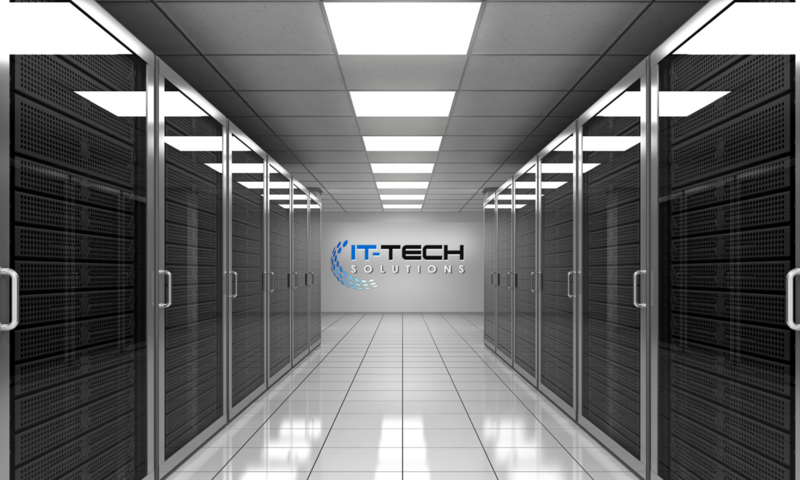 IT TECH SOLUTIONS understands the needs of the growing business owner in having a reliable network and computer infrastructure that will support both their immediate and future business needs without breaking the bank. IT TECH SOLUTIONS simplifies technology be bringing the business owner’s perspective to IT services. Our managed IT service program allows you to budget your monthly IT services costs and enjoy the benefits of a dedicated in-house support team without the associated overhead. IT TECH SOLUTIONS provides personalized, flexible support; keeping your systems running efficiently and with minimal issues so you can focus on what is most important in your business – your profits. Casey Kinchen — Audit Partner M&K CPS PLLC. Tamra Stott – Business Manager, Total Site, Inc.
“IT Tech Solutions has offered an unmatched level of IT support for Allpoints Surveying and is an important asset in our day to day operations. We hardly place any support calls because their team does such a good job monitoring our network/computers, but when something does go wrong they respond quickly and effectively. I would highly recommend IT Tech Solutions to anyone who wanted a professional, knowledgeable and dependable IT support team to help better their business. Chris Waldrop – Waldrop Company, Inc.
Microsoft® is the world’s leader in business software. Microsoft’s family of server products provides a solid foundation for all of your business needs. Windows® has become the standard for laptop and desktop operating systems, and Microsoft Office leads the world in productivity software. Dell servers are enterprise quality with small business pricing. Server types include blade, rack, and tower options and offer manageable, scalable, and flexible options. Voted CRN’s software supplier of the year for 2010, GFI offers a wide range of powerful, award-winning solutions for small and medium-sized businesses (SMB’s) that are affordable and easy to use. McAfee is the world’s largest dedicated security technology company. Delivering proactive and proven solutions and services that help secure systems and networks around the world, McAfee protects consumers and businesses of all sizes from the latest malware and emerging online threats. Mozy® is the most trusted name in online backup. Mozy has the experience and infrastructure to keep your company’s data safe and secure. More than 70,000 businesses trust MozyPro® to back up their computers. SonicWALL delivers robust, affordable and easily manageable Internet security solutions to protect the network resources of branch offices and small businesses. Their scalable solutions fit organizations of every size, with SSL VPN access to mission-critical resources from virtually any endpoint. Drobo makes award-winning data storage products for small and medium businesses and professionals that provide an unprecedented combination of sophisticated data protection and management features, affordable capacity, and ease-of-use. Proofpoint protects your people, data and brand against advanced threats and compliance risks. Built on the cloud and the world’s most advanced intelligence platform, our solutions help you effectively detect and block targeted attacks and respond quickly to suspected compromises. As the first to harness the cloud and artificial intelligence to stop zero-day threats in real time, Webroot secures businesses and individuals worldwide with threat intelligence and protection for endpoints and networks. Please include your phone number, and a little detail about the nature of your question. Thank you!